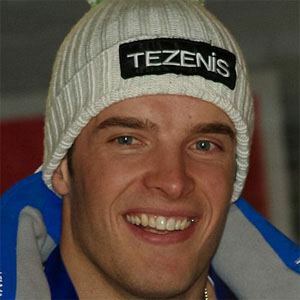 Alpine ski racer who won two medals at the 2014 Winter Olympics: silver in the downhill race, and bronze in the combined event. He made his World Cup debut in 2006, and his Olympic debut in 2010. At the 2011 World Championships he won a gold, silver, and a bronze medal. He was born in Bruneck, South Tyrol, Italy. He was one of Italy's few medalists at the 2014 Olympics, joining Armin Zoggeler.